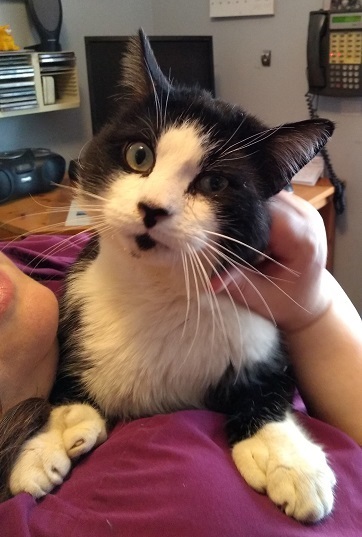 Boom is a super affectionate polydactyl guy who loves snuggles and shoulder rides. He’s not really sure about toys just yet but we are sure given the chance he’s going to love to play. He’s FeLV/FIV negative and we feel with the right introduction Boom would do just fine in a home with another cat friendly kitty. Between broken bones, bite wounds, abcesses and fractured teeth we really feel this guy has already had his share of hardship. Can you give him a better life?